I'm making progress I think! This is attempt number 1. It's a teeny tiny skein the size of my hand. 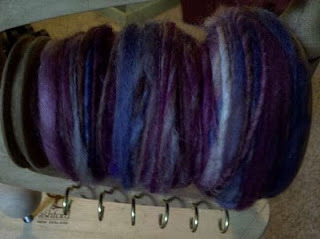 Attempt number two looked a little better, but I've got lots of kinks where the twist was too tight. I tried adjusting the tension but it didn't seem to help. 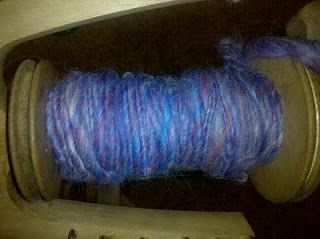 Attempt number 3 was lots more fun, but still overtwisting in some places and undertwisting in others. I like the way it looks though! I'm thinking of whipping up a scarf in it. 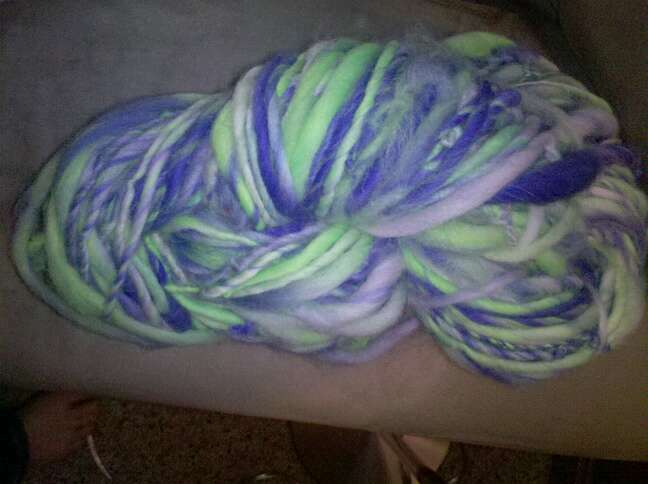 Reminds me of the joker with it's bright green and purple! 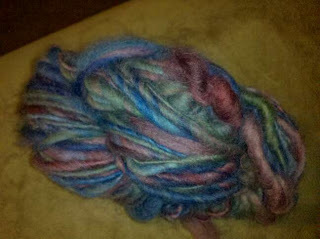 Attempt number 4 was a tiny bit of super soft roving. Still overtwisting, but still nice. I'm trying not to get frustrated at my lack of instant perfection. This takes time to learn right??? 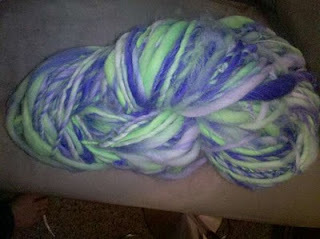 I just went shopping for some new roving over at Bananamigraine's etsy! Lots of pretty colors, can't wait to get it and try some more spinning!